Have you ever heard of Fremont, California? Chances are, if you follow scholastic chess in the United States, you have. Schools from Fremont have historically used schools from other California cities as punching bags in the local scholastic chess arena. Recently, there has been a major effort made in exposing the rest of the United States to California’s best kept chess secret. In 2010, Weibel Elementary School tied for first in the K-3 Championship section at the USCF National Elementary Chess Championship in Atlanta, Georgia. Weibel Elementary School also finished third in the K-6 Championship section. Weibel Elementary School was the only school to place in the top three of two different championship sections. Not to be outdone by Weibel, The Mission San Jose Elementary School team placed second in the K-1 Championship Section, tied for fourth place in the K-3 Championship Section, finished third in the K-5 Championship Section and placed 9th in the K-6 Championship section. Mission San Jose Elementary School was the only school at the 2010 National Elementary Chess Championship to place in the top ten of all four championship sections. All this just one year after winning the National Elementary (k-6) Chess Championship in 2009. 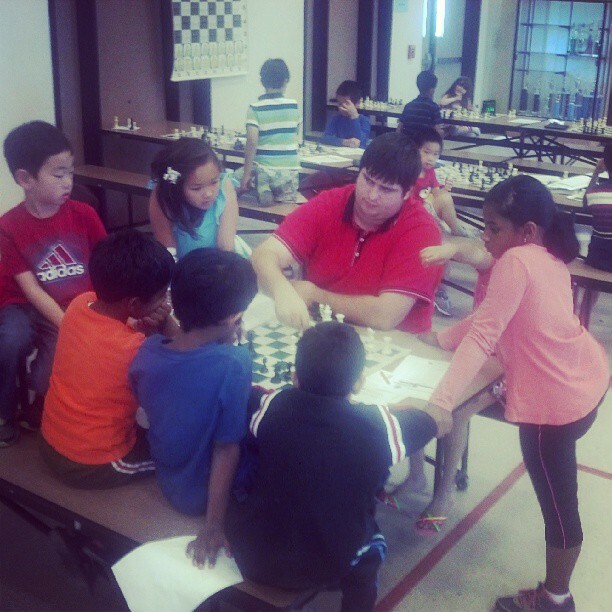 With all this recent success it is natural that children from other areas are very interested in becoming a part of the Fremont chess scene. The summer is the perfect time for this to occur. Young chess players can find out about upcoming tournaments and ongoing chess clubs by visiting www.FremontChess.com. Chess players can sign up for the Mission San Jose Elementary School Summer Chess Camp by visiting www.ChessAndMusic.com.